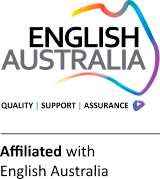 You can study an English course in all of the major Australian cities and in many regional cities of AUSTRALIA and NEW ZEALAND, starting any month of the year. You can choose between university, TAFE or private centres. If you wish, you can also combine several destinations. Doing a General English course you gain and develop the key skills necessary to learn a language and communicate effectively and fluently in speaking, listening and reading. You will also work on your pronunciation and grammar. Beginners to Advanced levels are available and you can study for as long as you want. Classes are interactive/ communicative so that you use your English and put into practice the knowledge you achieve. In a standard general English class, in the morning, the focus is on developing your key skills and, in the afternoon, working on electives like pronunciation, conversation, business English, IELTS, TOEIC or/and Cambridge preparation according to your level.